She was at the peak of her career – and has given it all up for an app idea. Insa Klasing wants to stir up the market for personal coaching with her Berlin-based start-up "TheNextWe". Her method is not exclusively meant for top executives, but targets the entire company. Insa Klasing was the Chief Executive of the fast food chain Kentucky Fried Chicken in Germany. As KFC’s first female CEO, she led the group to success in the German-speaking world. On the way to the top, however, she chanced upon the observation that coaching services are only offered to people in senior management positions. That's how the idea came to her to launch a new form of coaching – one for everyone in an organization: convenient as a mobile app. Together with her brother, CTO Klaas Klasing, and the psychologist Anke Kaupp, she founded "TheNextWe.com". At the 2017 World Economic Forum in Davos, Ms. Klasing was honored as a "Young Global Leader"; and the following year in Davos she sat together with German Chancellor Angela Merkel in a joint workshop. "Focusing on one goal, we can accompany hundreds of employees at the same time – but still remain completely individualized." 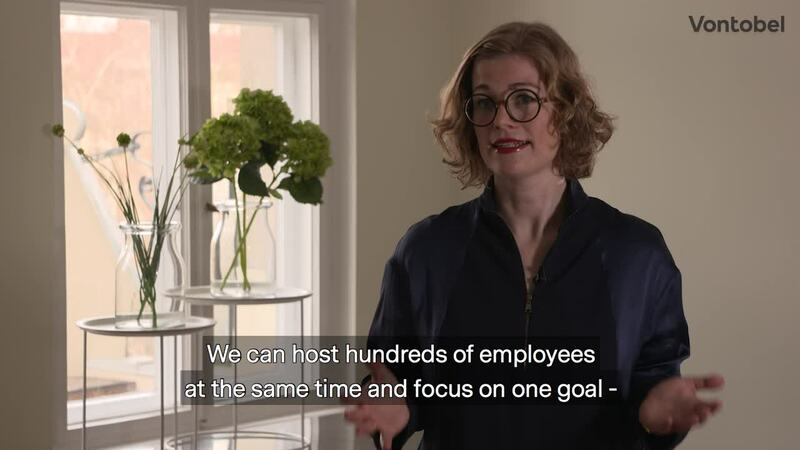 For Insa Klasing and her colleagues, the main success of motivational training is not only the quality of the coaching, but also the fact that all the employees of an organization really benefit from it, and are able to identify with a clear, unified goal. Up to now, that was difficult – if not impossible – because the coaching market is extremely fragmented: each country and each region produced its own coaching solutions, and standards did not exist. Accordingly, results are not comparable, and success can’t be monitored. The founders of “TheNextWe” want to remedy these deficiencies. With the help of the app of "TheNextWe", coaching discussions can be planned, evaluated and monitored. The actual communication with the coach takes place on the phone and in one-to-one chats; it thus remains individual and personal. In the background, "TheNextWe" coaching is based on the cognitive method, i.e. the employees have to be able to understand why they should change their behavior. To make sure that is the case, they are encouraged by the coach to question their current evaluations. This gives them an idea of what is right and wrong in a company. The start-up’s founders regard the digital scalability of the training as the great advantage of their coaching app. Independent of time and place, conversations can be planned and carried out between the coach and each employee of a company, from the CEO to an admin clerk, and in organizations ranging from huge DAX-listed corporations to tiny start-up boutiques. This saves not only time and money, but also resources and travel costs for all concerned. Insa Klasing, 39, studied economics at Oxford, worked for the management consulting firm Bain & Co. and for the start-up company Innocent Smoothies before becoming CEO of Kentucky Fried Chicken in Germany. Over the next five years, the American fast food chain opened dozens of new outlets, creating 2,600 jobs and doubling revenues. In 2017, together with her brother Klaas Klasing and psychologist Anke Kaupp, she founded the start-up "TheNextWe", a coaching app that allows a company to train all its employees within twelve weeks. Who are we? How do we live today? And how will digitization change our lives? How the future will unfold is preoccupying society more than ever, with engineers, doctors, politicians – each one of us, in fact – seeking answers. This conversation with the founders of "TheNextWe" is one of many contributions that shed light on the theme “Digitized Society” from a new, inspiring perspective. We are publishing them here as part of our series “Impact”.